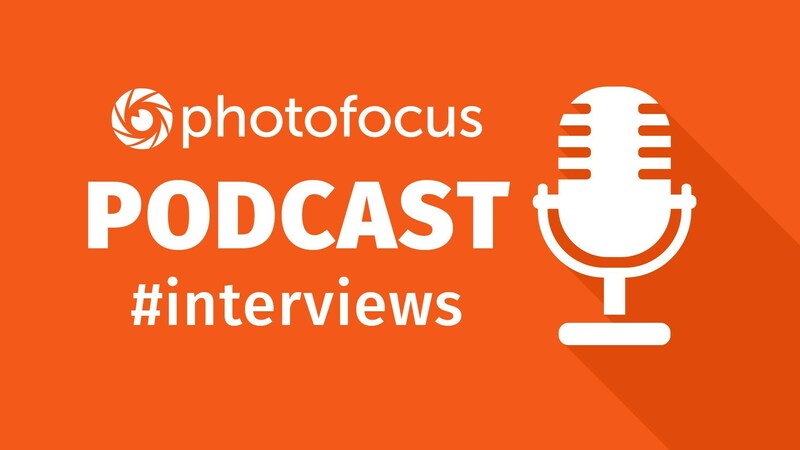 In this episode: Digital Artist and Photo Retoucher Dennis Dunbar shares his insight on photo retouching and how photographers and retouchers work together. Topics: – Working with agencies – How he and photographers work as a team. – What software he uses for retouching and why. Digital Artist and Photo Retoucher Dennis Dunbar shares his insight on photo retouching and how photographers and retouchers work together. How he and photographers work as a team. What software he uses for retouching and why. To learn more about Dennis, visit his blog. We like to hear from you! Here’s your chance to interact with the team by leaving a follow-up question in the comments section. We do our best to answer all questions in a timely manner. Do you have an idea for a topic or want to hear from your favorite photographer or influencer in our industry? Send an email to Vanelli at [email protected] with the subject line of INFOCUS INTERVIEW IDEA. Write a brief description of your topic or idea. If you are recommending someone, please include their name, contact information and state if you would like to be a guest host. Robert Vanelli (Vanelli to his friends) is a working photographer, educator and author living in Florida. After a successful career as a three-time, Triple Crown Karate champion, Vanelli turned his attention to teaching the visual arts. As an experienced educator, Vanelli has created several photography and digital workflow programs including Click for Kids. Currently he is teaching workshops, writing for Photofocus and creating tutorials for various plug-in companies and for the Vanelli and Friends series. Adobe Stock – The marketplace where videographers and photographers make money with their video footage and still photographs. Become a contributor today! Lume Cube – Proudly known as the World's Most Versatile Light™, Lume Cube represents the future of LED Lighting. ACDSee – Experience ultimate creative freedom with the world's first digital asset manager and RAW editor with layers. ACDSee Photo Studio Ultimate 2019 is the answer to your creative graphic and photography needs. Illuminati Instruments – Maker of the Illuminati meter that measures flash & ambient, color temperature and chromaticity in a compact case that links to a smartphone. B&H – B&H is a world renowned supplier of all the gear photographers, videographers, and cinematographers need and want to create their very best work. Skylum – Your photos, more beautiful in minutes. Makers of Luminar, Aurora and Photolemur, Skylum adapts to your style and skill level. Check out the new Luminar 3, now available. Perfectly Clear Complete – Built for precision. Made for beauty. Perfectly Clear has mastered the science of intelligent image correction - creating superior quality photos in record time, so you can get back to doing what you really love...in no time. Special Photofocus deal here. V-Flat World – Lightweight and easy to transport, the Foldable V-Flat from V-Flat World makes it easy to travel, collapsing down to 40 x 40 x 2 inches. Learn more at vflatworld.com. Adobe Creative Cloud – Creative Cloud gives you the world's best apps and services for video, design, photography and the web, whether you're a beginner or a pro! Plans start at $9.99/mo. at adobe.com. Viewbug – Learn and improve your photography with over 500 videos. Trusted by millions around the world, join over 2 million photographers who already use Viewbug. HDR Learning Center – Check out new ways to use High Dynamic Range photography to make compelling images. Free tutorials and posts to get results. Produced in partnership with HDRsoft. Comment Policy: Vigorous discussion is welcome. Please use your real names and respect one another. Regardless of the type of photography you focus on, Photofocus is here as a helpful and educational resource for the aspiring and professional photographer. Our goal is to assist in your success as an artist. © 2019 Photofocus · All Rights Reserved.